Fracture and 'slow' crack growth reflect the response of a material (i.e. its microstructure) to the conjoint actions of mechanical and chemical driving forces and are affected by temperature. There is therefore a need for quantitative understanding and modeling of the influences of chemical and thermal environments and of microstructure, in terms of the key internal and external variables, and for their incorporation into design and probabilistic implications. 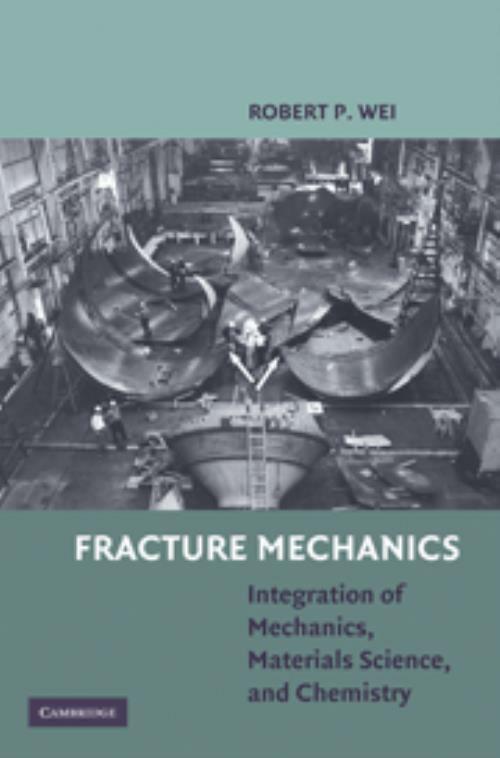 This text, which the author has used in a fracture mechanics course for advanced undergraduate and graduate students, is based on the work of the author's Lehigh University team whose integrative research combined fracture mechanics, surface and electrochemistry, materials science, and probability and statistics to address a range of fracture safety and durability issues on aluminum, ferrous, nickel, and titanium alloys and ceramics. Examples are included to highlight the approach and applicability of the findings in practical durability and reliability problems. 10. Science-based probability modeling and life-cycle engineering and management. Robert P. Wei is the Reinhold Professor of Mechanical Engineering and Mechanics at Lehigh University. His principal research is in fracture mechanics, including chemical, microstructural, and mechanical considerations of stress corrosion cracking, fatigue, and corrosion, and on life-cycle engineering. He is the author of hundreds of referred research publications. He is a Fellow of the American Society for Testing and Materials, the American Society of Metals International, and the American Institute of Mining, Metallurgical, and Petroleum Engineering and a member of Sigma Xi and the Phi Beta Delta International Honor Societies.